Issahaku Zakaria is a professional development and business practioner with over 13 years of experience in development assistance and business development programs in Ghana. He has several years of experience in implementing inclusive approaches in the livelihood, food security and economic empowerment sectors; including working with women and smallholder farmers, Agric. business companies and FBOs. 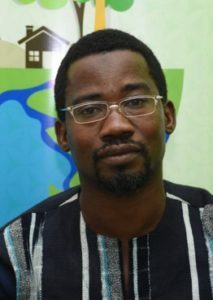 He is an expert in value chain/business development and has worked on Agricultural value chain development and integration in domestic and global markets, business development of SMEs especially in the agribusiness sector as well as the promotion of private sector participation in market system development. As an agronomist, He is very much interested and has been involved in adaptive research on agronomy of crops especially in the field of conservation agriculture in response to changing climatic conditions and Agric business development. Mayiya Investments Ltd. is an agribusiness value chain facilitation company that provides agribusiness, market linkage and off-takers services to farmers, consumers, promoting all actors along the value chains. It was incorporated under the Companies Act of Ghana, 1963 (Act 179) after several years of operations. As a business model, Mayiya integrates social enterprise, community development and environmental protection practices into their work. Mayiya is positioned to enhance the production supply capacities of smallholder farmers by connecting and linking them to local and global markets guaranteeing customers good quality and safe products.